Lisa loves to share her passion for creative coding and digital making tools with students and teachers at school districts and educational conferences. 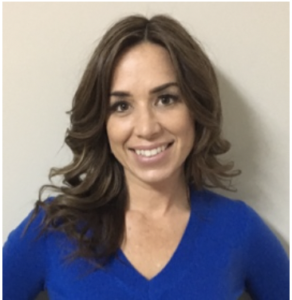 Lisa has many years of experience teaching math, computer science and experiential learning in the Thames Valley District School Board and also teaches in the Bachelor of Education program at Western University. Face-to-face and video conference workshops. — Send us the dates and location you have in mind. — Please budget for presenter travel expenses from London, Ontario. 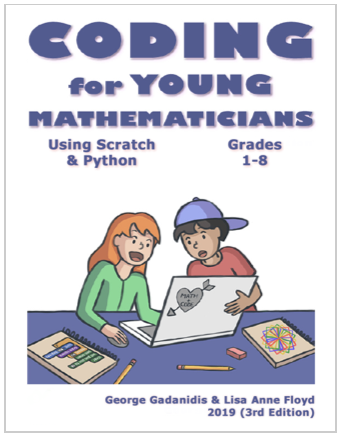 — You will purchase a print copy of Coding for Young Mathematicians for each participant. You may want to order extra copies, so teachers can share what they learn with school colleagues. — Cost per book will depend on number of books ordered. For example, $35/book for 50 copies and $29/book for 100 copies (plus HST & shipping). — Video conference workshops are offered as 1-day video conference ($1250 + HST) and 1/2 day or evening video conference ($750 + HST). — You may want to book a face-to-face workshop + a follow-up video conference workshop, to offer teachers the opportunity to share classroom experiences, ask questions, receive support, and get additional teaching ideas. — Select any combination of these 1/2-day topics: Plotting Points, Probability, Patterns, Geometric Art.